The History Of Cryptography And What It Is? With all the talk these days about blockchain and crypto-currencies, you’ve probably heard the term “cryptography”. And if you think that cryptography is related to crypto-currencies you would be correct. Cryptography allows for the safe and private concealment of information. To access the information in an understandable form, the user needs to know how the data was modified or encrypted. The idea is that if messages are encrypted properly, it may only be read it’s sender and the intended recipient. Cryptography is far from a new concept and dates back thousands of years. The ancient Egyptians used cryptology as a method of dispatching important messages. The first cryptographic messages were found in old Egyptian sites and were used strategically during the Roman era. In fact, Julius Caesar developed the basic “Caesar Cipher” to pass secret military orders to his top generals. This method of protecting information was utilized well into the modern era. During the Second World War, the German military created the Enigma, an encryption machine to send vital information to their troops. Until recently, most cryptology was not foolproof and could be deciphered with reasonable effort and a lot of patience. Since the point of encryption is to protect content, there are always interested parties looking to obtain this data. However, as the ability of individuals to crack various codes improved, cryptographers have adapted by creating more sophisticated mechanisms for protecting their information. Advancements in cryptology have evolved from simply shifting a few letters in the alphabet to complicated puzzles, more sophisticated in their design with letters, numbers and symbols often with hundreds or even thousands of intermediary steps. In the computer era the difficulty of encryptions has increased exponentially. Computers have brought about a drastic increase in computational power with modern computers capable of performing calculations far quicker and with much more complexity. Digital cryptography requires elements of computer science, mathematics and electrical engineering and encrypted messages are created by combining these technologies into complex algorithms. In today’s modern context most crypto-currencies are not really sending secret messages but cryptography still a core component in its use. The two most significant functions are called hashing and digital signatures. Hashing allows for cryptographers to transform huge amounts of data into short numbers that are difficult to replicate. This a fundamental element of blockchain technology and is associated with the protection and integrity of data linked within the blockchain. The other crucial function is digital signatures, which are like our own signatures and are used to authenticate who we are. These digital signatures are mathematical functions designed to match to a specific wallet. By linking a digital signature to a transaction, it becomes indisputable where the transaction came from and it is impossible for any wallet to be impersonated by another wallet. Digital signatures secretly match the public and private key of a wallet and use cryptology to identify the wallet. An easy analogy is to think of the public key as your bank account, while your private key is your pin code. Essentially, it doesn’t matter if people know your bank account because all they can do with that is deposit money into your account but if they have your pin code it could be problematic. In blockchain however, private keys are for encrypting transactions where public keys are used for decryption. The sender encrypts the transaction with a private key that can only be decrypted with the recipient’s public key. If the sender’s public key doesn’t result in decrypting the transaction, then the transaction isn’t from that wallet. The key takeaway from the relationship between cryptography and blockchain technology is the security and protection cryptology provided. It provides for a trustless system in which the transacting parties don’t need to trust each other because, the cryptology acts as protection and security for both participants keeping digital assets and information secure. 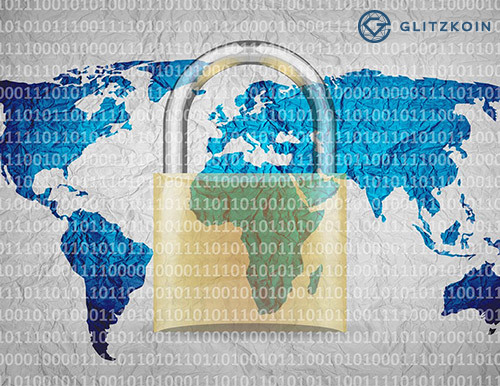 GLITZKOIN: We are developing a diamond blockchain platform with a cryptology mechanism to provide a more transparent, secure and efficient mechanism to track and trace diamond transactions. The ability to provide a more secure digital platform where no one individual can retroactively change the data will reduce instances of fraud, increase transparency and ease of doing business in the diamond industry.